So here it is, you asked for it, so you shall receive. This slice is probably one of my favourites ever. 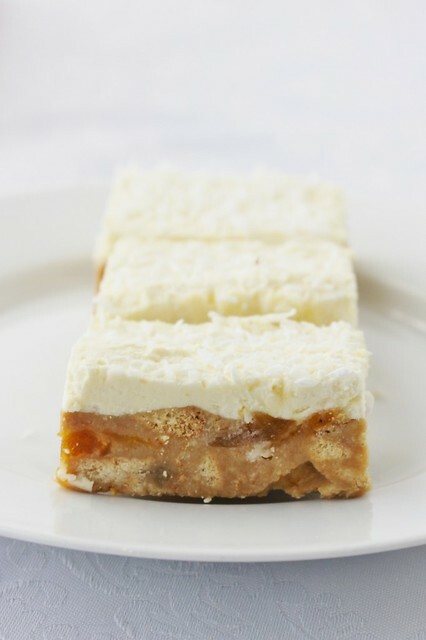 I always remember one of my mums friends from Upper Hutt who used to be a baking queen (she always had three or four baked goods in the pantry for her family's lunches) she used to make this slice for shared morning teas and I always thought it was some secret recipe. Little did I know I would find one just like it one day. 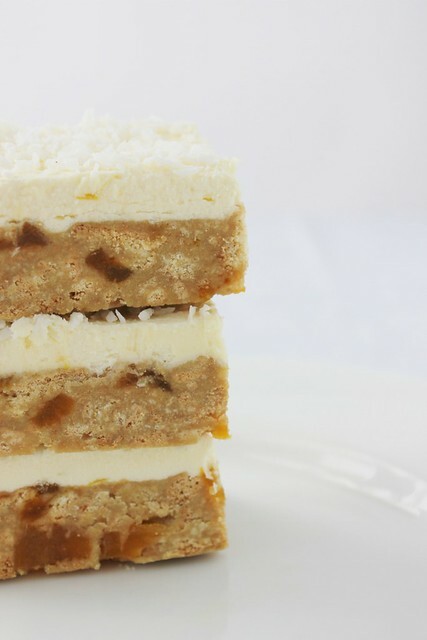 I stumbled across this recipe on Chelsea's site many years later and I have never looked back. It's easy to make, reasonably cheap and tastes awesome! 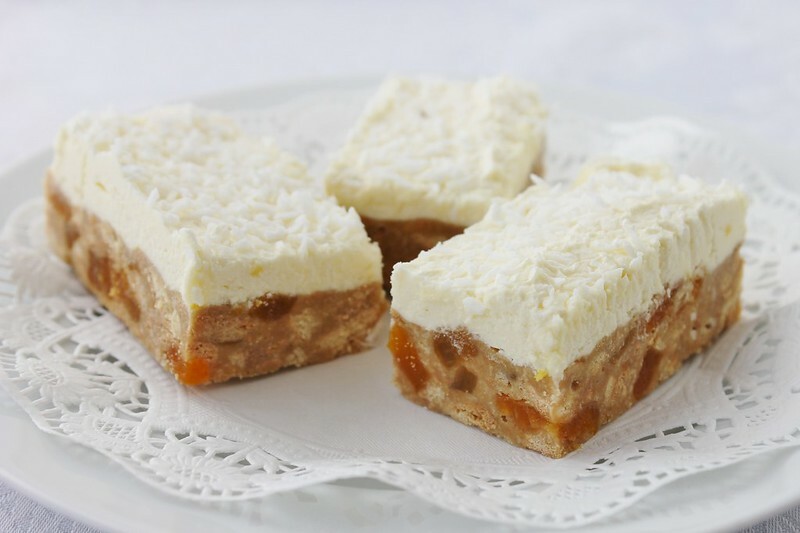 It's a nice sweet base with some tart dried apricots thrown in there then topped with sweet and tangy lemon icing and tonnes of delicious coconut. Ahh coconut, where would I be without you? Coconut makes everything good! Line a rectangular tin or casserole dish (approx. 20x30 cm) with baking paper and set aside. 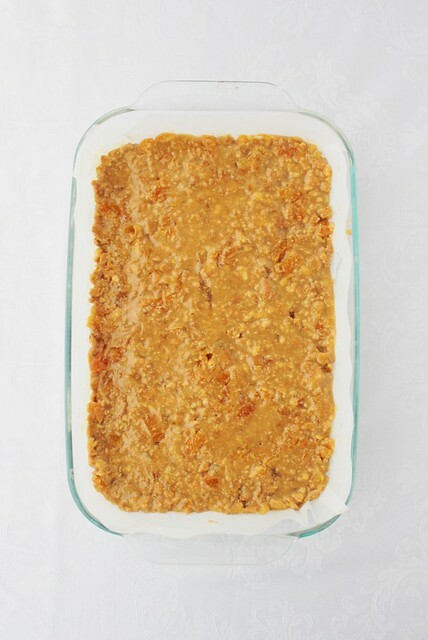 Add the chopped apricots and crushed biscuits, I also like to add a bit of coconut in the mix too then mix well. Press mixture into the tin and let cool before icing. 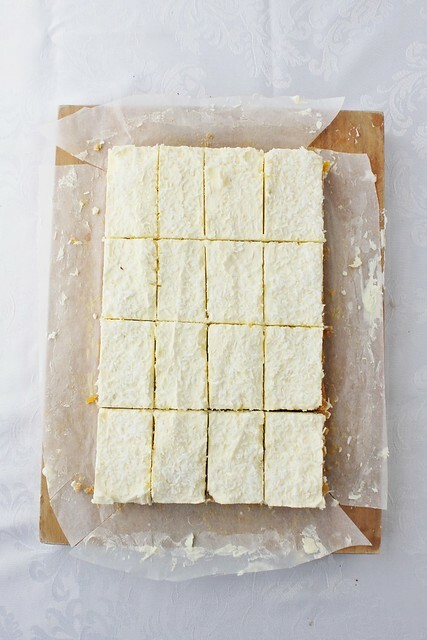 Sift in icing sugar and add lemon rind and juice to the butter. 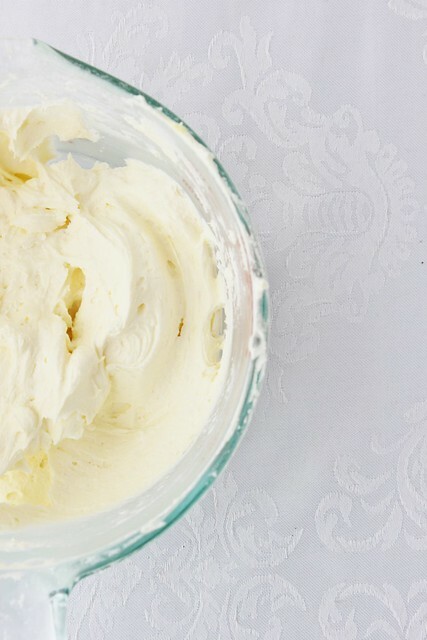 Mix until combined, adding water until consistency is light, fluffy and spreadable . 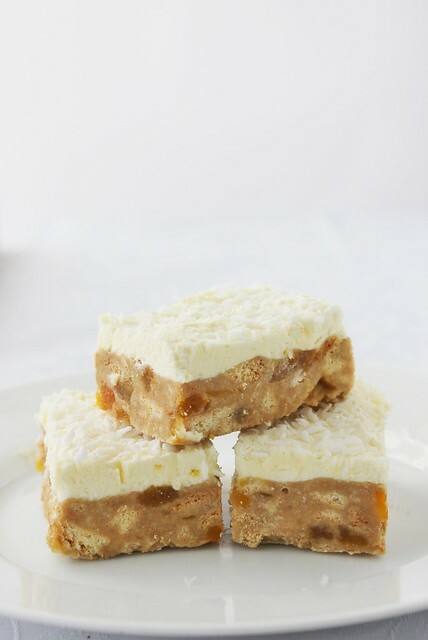 Spread icing all over the fudgey slice and sprinkle with coconut straight away and press it in a little bit so it sticks better. 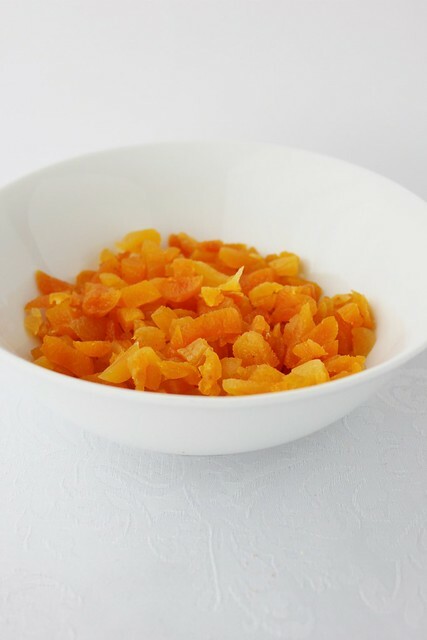 Allow to set in refrigerator for a few hours before cutting into slices. I'm over uni as well! Just one more exam to go on Monday, and second year is done. Woohoo! Isn't it great when uni is over! My "holidays" officially begun this week too. I have made myself too busy though! It is such a great slice, my husband always asks me to make it! I finally ended up making this the other day for a vow renewal where we were asked to take a plate for dessert. I don't think I got the icing consistency quite right, but other than that it was great! So delicious, & the lemon tang to the icing was perfect. I might try adding some chunks of dark chocolate next time in place of some of the apricots. Not that it needs it really, but if I forgo the icing it could be good! I'm so glad you gave it a go! What was the icing like? Runny or dry? I tend to go with how it looks at the time, if it's too dry I'll add more lemon juice or water and vice versa if it's too runny. Dark choc sounds SO yummy, let me know how it goes! No baking at all? ooh...I love that. I am gonna try out soon! Well you have to heat the butter and stuff at the start but other than that no! 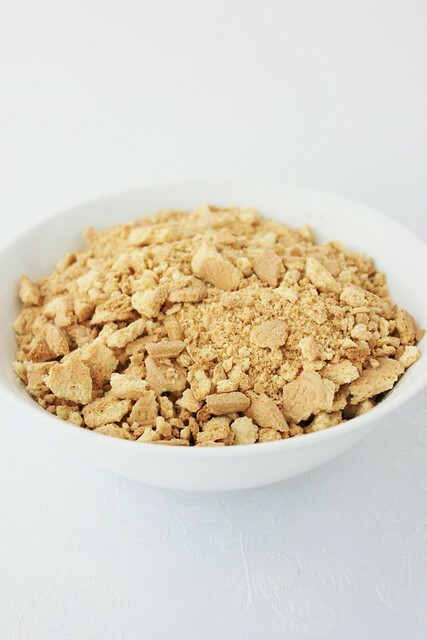 It's a great recipe which is really easy and totally delicious! I just came across your blog and am so impressed. You are a very talented young lady! 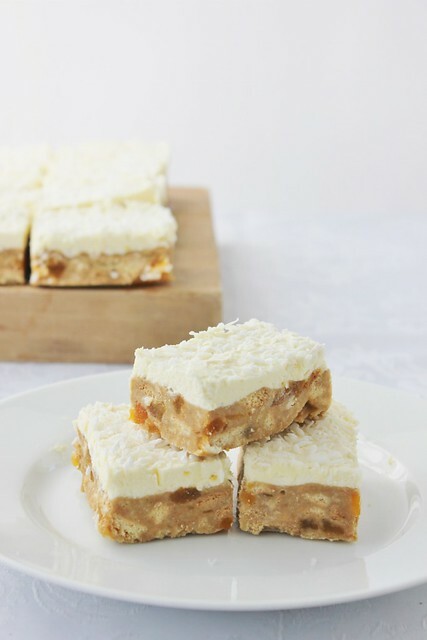 I love all your recipes and have recently made this Apricot Fudge Slice for two different gatherings and have had the most compliments about it. 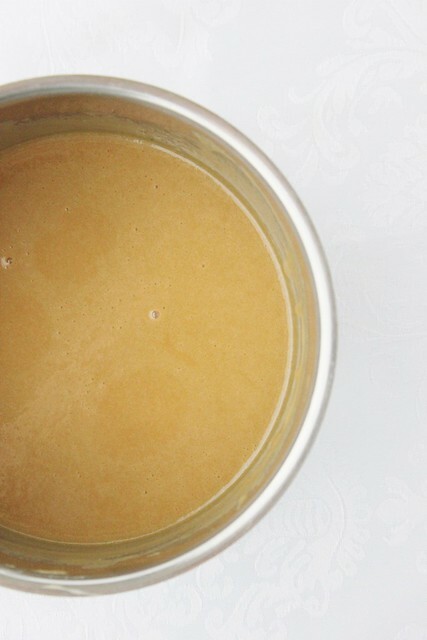 It is delish!! And so easy to make! Keep up the good work!